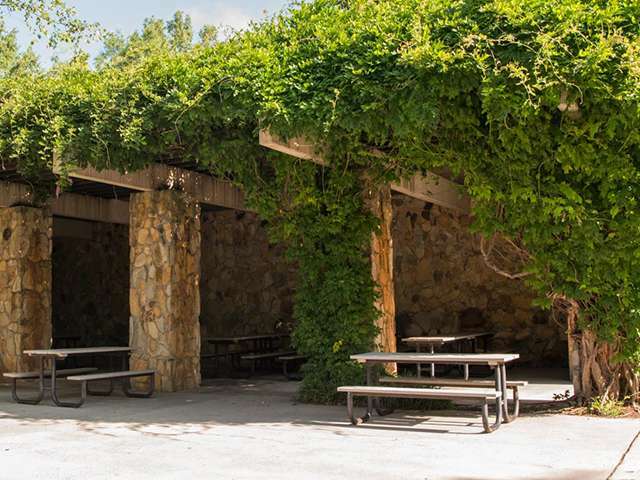 The North Carolina Zoo has designated free public picnic areas located outside both the North America and Africa entrances. Both sites have shaded picnic tables and offer lovely lakeside views. Please remember to have your hand stamped or use your Admissions receipt to leave and re-enter the Park. See Park Map. Africa picnic sites: There is lots of room for kids to run and play, Restrooms (ADA compliant) are located in close proximity to the picnic areas. North America picnic sites: You can park your car closer to the picnic tables. Restrooms (ADA compliant) are located in close proximity to the picnic areas. The Zoo does not allow picnicking or coolers inside the Park. Grilling is not allowed at the picnic areas or in the parking lot. Please note that these picnic areas are first-come, first-served. 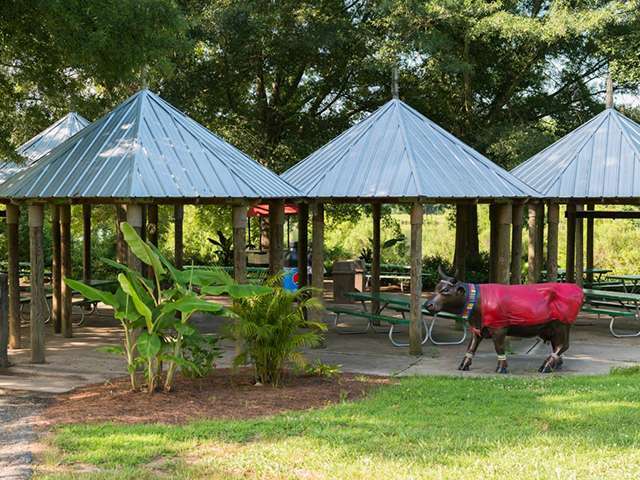 The North Carolina Zoo has designated rental picnic areas available by reservation only. Catering for your event or get together (minimum of 15 guests) is provided by our on-site caterer, Service Systems Associates (SSA). To plan your group outing, select from several locations, choose your catered menu and reserve by calling 800.488.0444 Ext. 7700. The natural setting of the Zoo enhances any gathering or special event.